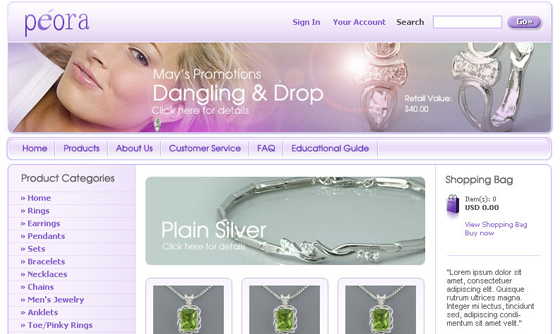 Peora is a jewelry manufacturing company based in Los Angeles . 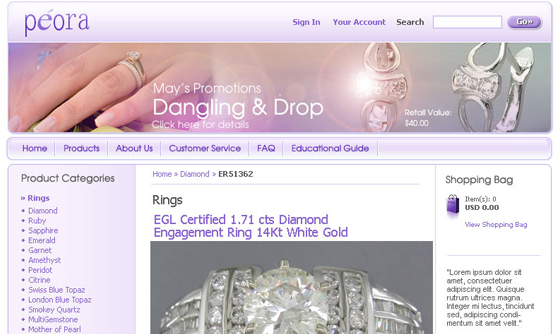 Selling diamond, gemstones and jewelry to retailers and wholesalers throughout the United States . Peora.com is a direct channel to the end-consumers. 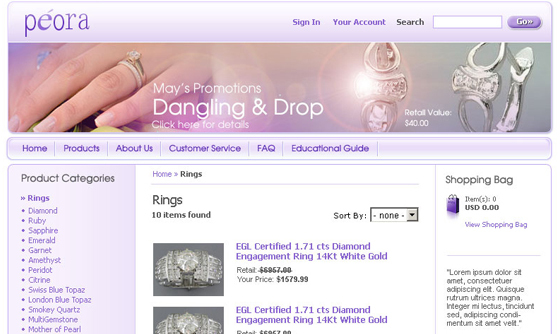 IBCnet was hired to design, develop and program this unique online jewelry ecommerce solution website.